If you didn’t add on AppleCare+ when you pre-ordered your Apple iPhone 4S then fear not because you will have until November 14, one month after the smartphones launch, to add on the protection. 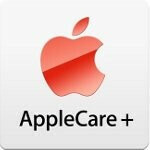 AppleCare+ is the first of its kind for an iPhone. For $99 it is a protection plan that will cover you if you break the iPhone 4S within the two year timeframe that the coverage is good for. Of course it gives you all of the other goodies such as free over the phone tech support that is found in the traditional $69 AppleCare. AppleCare+ is limited however. You are only allowed two replacement devices in the two year span with a $49 service fee each time you break the device and require a new one. The Geniuses at the Apple Stores are no longer allowed to give you a new device if you break it and are not covered through AppleCare+ so keep that in mind. If you pre-ordered your iPhone 4S and are a bit clumsy then perhaps AppleCare+ is for you. No need to remind you all that the phone is made of glass on the front and the back. Apple is extending the AppleCare+ offer until November 14 for customers that have already pre-ordered their iPhone 4S that expect to receive it this Friday. If you think you are careful enough and plan on treating your iPhone 4S like a baby, then maybe you can get away with the cheaper AppleCare or maybe even just the 1 year manufacturer’s warrantee. Anybody pick up the AppleCare+ protection when the iPhone 4S was pre-ordered last week? idk yet... i already have the $10.99 insurance/ext wrrnty (asurion/verizon) package that gives 2 claims (at $99 each) ... maybe the AppleCare+ for $99 & only $49 if replcment is needed.. hmmmm, something to think about i guess..
@IconicPrettyBoi... Think of it this way... 10.99 every month for 12 months is 131.88... or.. 99 bucks for the year... Thats a savings of 32.88... That almost pays for one claim with Applecare... Makes sense to switch...ijs... lol..
Has anyone tried SquareTrade? Do you think its a better deal? I was thinking about gettting Square trade or Worthave just didnt wanna add another 99 when I preordered but ill prob go w this now. Hopefully w never have to use of course but better safe then sorry. Is this is you bought the phone through the Apple store, and/or Does it also apply if you PreOrdered it through the carrier?